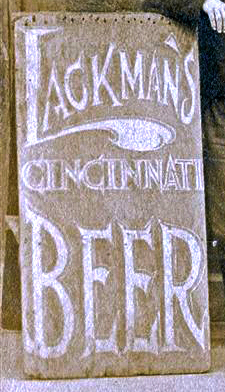 Basic advertising from the Lackman brewery, late 19th century . 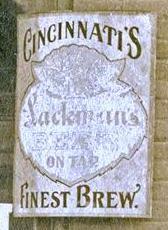 During the early years of brewing activity in America, advertising largely was limited to word-of-mouth promotion and basic print campaigns. 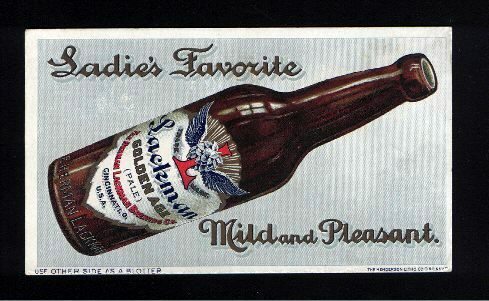 Most beers enjoyed popularity within the communities where they were produced, and on a smaller scale within taverns and saloons which they served, and thus often benefited from informal discussion of the product. 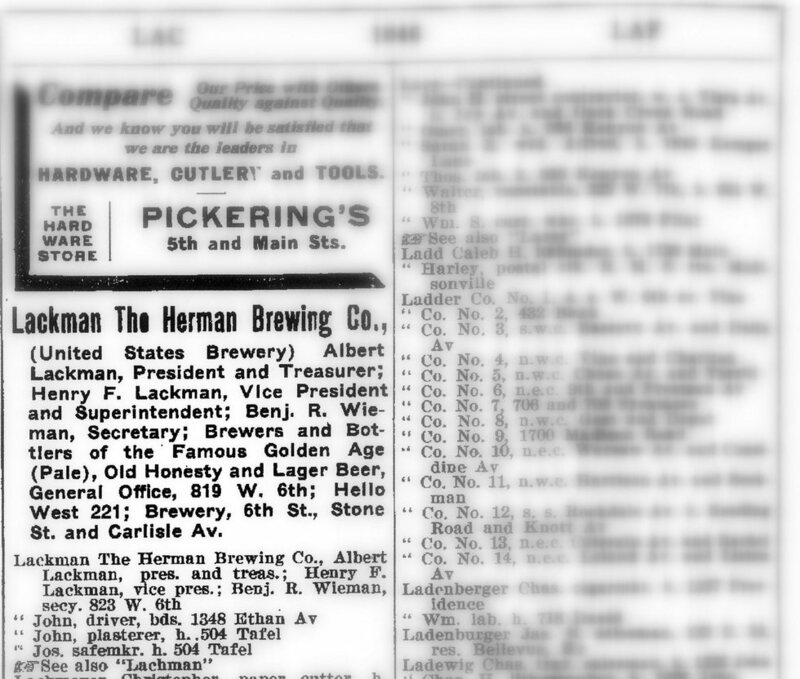 Until well into the latter half of the nineteenth century many brewery owners limited themselves to minuscule newspaper and city directory print advertising, which blended in with other such promotions by virtue of similar size and graphics. 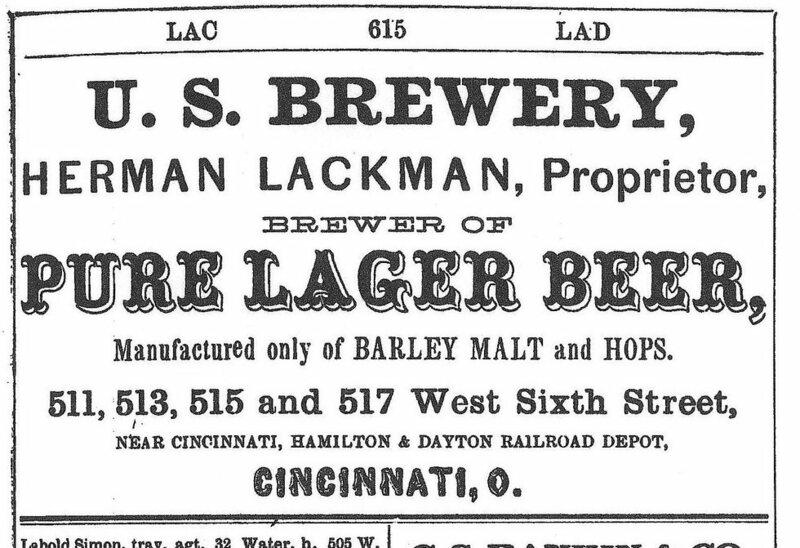 Cincinnati brewery advertisements of the 1860s, in city directories published by the Williams Company, stated little beyond the brewery name and address, and its standardized output of ale, porter, or lager; only a few provided additional information. The rapid growth of export production and marketing required innovative promotional efforts for the successful penetration of new markets, and in the case of local breweries to combat the effects of increased competition from the newcomers. 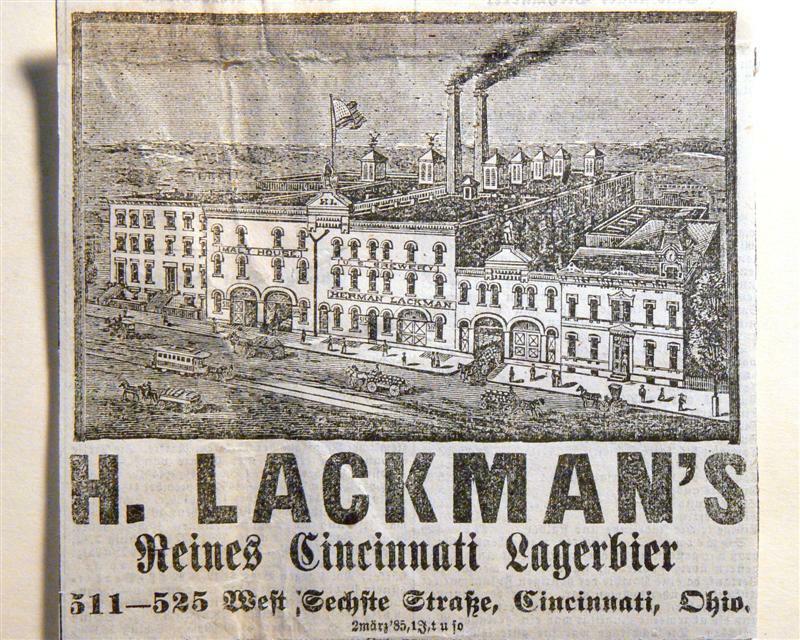 At the same time, the technological and aesthetic revolution in the brewery workplace enticed a number of brewers to promote product for its purity and modernity, and to provide added emphasis to the functional and aesthetic advantages posed by the ultramodern brewing facility. 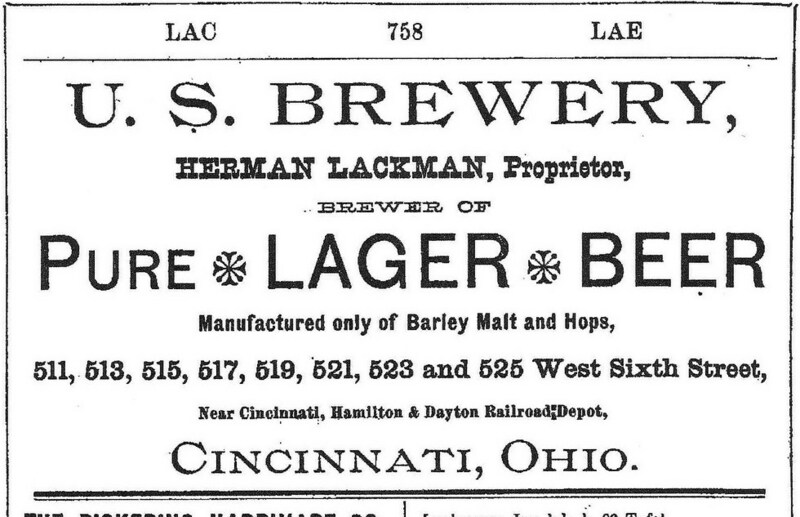 As a result, area brewers sought to bring about a greater awareness of the brewery, its product, and-for the first time-a business image which the company wished to convey. 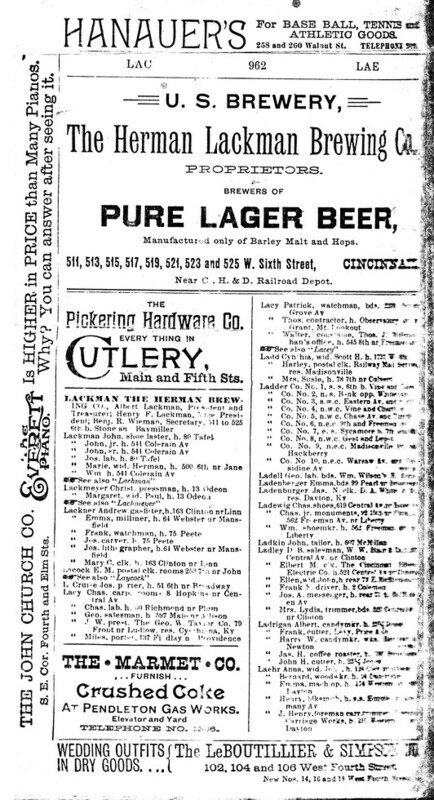 More often than not Cincinnati brewers of the late nineteenth century worked to impress potential customers with the high quality of their product, in many cases through the use of exaggerated claims of superiority and even emphatic punctuation. 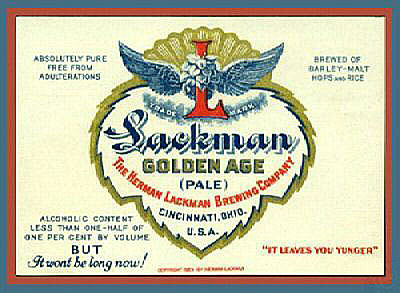 Herman Lackman believed in "beer as an agent of good". He held, however, that to accomplish this good it must be pure-made of the pure malt of barley and hops alone. His principles became known and became part of his beermaking.